Esoteric themed devices of Erhardt Ratdolt, Ouroboros Press and Three Hands Press. William Kiesel vividly brought his topic to life through several visual examples. 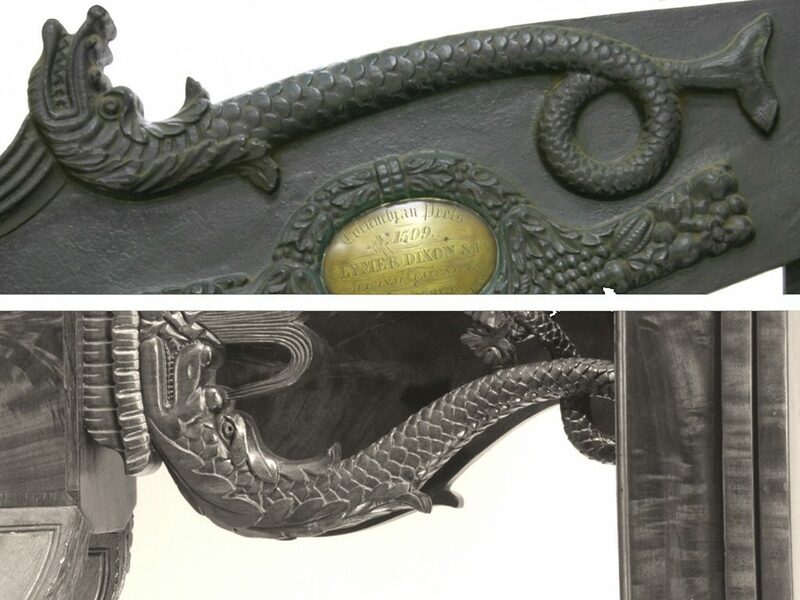 He showed some devices with which many in the audience were familiar dating back to beginning of printing, such as the saddlebags of Fust and Schoeffer and the anchor and dolphin of Aldus Manutius. He discussed some of the early symbolism and common device ideas. Kiesel covered the meaning of several devices through examination and analysis, elaborating on those things that influenced names and symbols and going into some detail. Kiesel shifted the discussion to both the historical and contemporary examples of printer’s devices used in occult and esoteric publications. Kiesel drew the audience in by explaining how these symbols were chosen and their meanings related to the work produced by individual presses. Watermarks in esoteric and occult publishing were also briefly discussed along with the potential impact of new technologies and the relative ease and simplicity of publishing and what a device might disclose about the nature of the kinds of work they produce. Future plans for research and sources of more information were also presented. 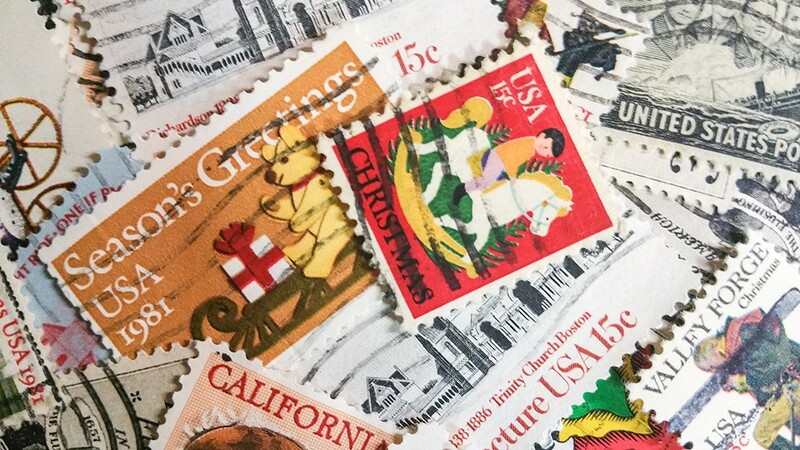 Robert Cagna demonstrated to the audience that some postage stamps have spellbinding appearances, with many others bearing hidden notes about their design and printing if one knows where to look. This set of variables dates back more than one-hundred and fifty years. Some examples had information that could be obvious and others had information for which one had to look. To hold our interest, he gave out samples and discussed how smell might help communicate the stamp’s meaning. He showed participants what one could look for and where to look on each stamp. In addition to discussing the design and printing, he gave the audience a glimpse at printing with optically variable inks, lenticular and holographic designs, a postage stamp made entirely of printed micro letters, and one that conceals a Star of David in a beard. One great example was a stamp commemorating Harry Houdini featuring a portrait of the magician which, when viewed with a special handheld decoder, transformed into a picture of the escape artist locked up in chains. He also discussed some of the techniques, logistics, and economics of stamp production, as well as some of the historical factors involved. He ended the session with a discussion of personalized production of postage stamps and a few other contemporary, related issues. It opened an entire world of information to be found on postage stamps. Pamela Barrie gave us a look beyond modern day prejudices and assumptions about the phantasmagorical ornaments featured on Clymer’s Columbian hand presses and the origins and meanings they held within the visual culture of their time. While some of the previous research has emphasized the mechanism of Clymer’s press, this research looked at both the mechanics and elaborate decorations. Clymer’s choice and combination of motifs embody the physical and moral forces at work in his invention. Barrie discussed the historical significance and compared them to other developments. She also compared variations and development among Columbian presses, including some changes over the years. She went beyond general information to describe dates and details, giving quite an in-depth discussion of the topics at hand. This research went further than the work of Jacob Kainen and presented information that was new to some, and finding analogues in the design elements in vogue at the time on other manufactured items such as the furniture. She showed how the Columbian press presents itself to the initiate as a sort of hieroglyph, an incarnate emblem of its principles of operation: initially complex and puzzling, but once deciphered and grasped as a synoptic whole, sublimely simple. This presentation offered something new about a topic that has been on the fringes of research but has fascinated many, and there is obviously more to be discovered. This path of inquiry should prove interesting to anyone with an interest in Columbian hand presses and symbolism and hopefully there will be more to hear about this in the future. Ethan Lipton is a Professor Emeritus in the Department of Technology at California State University, Los Angeles. In addition to having taught courses related to technology, technology education, and graphic communications, Dr. Lipton continues as a member of the Board of Trustees of the International Printing Museum. In addition to his work on behalf of the museum, its programs and the preservation of printing history, he continues his related research, presentations and publications with a focus on technology education, typography, Columbian presses, and Richard Hoffman. He is also a recent President of the Southern California Chapter of the American Printing History Association. Professor Lipton has written extensively on the print culture of Southern California and has designed and printed a variety of books, broadsides, and invitations on fine printing.